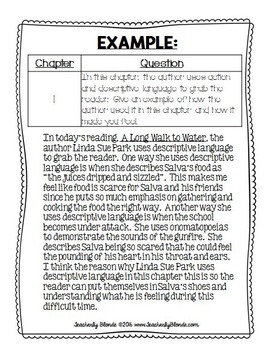 This product contains text dependent questions for close reading of A Long Walk to Water by Linda Sue Park. 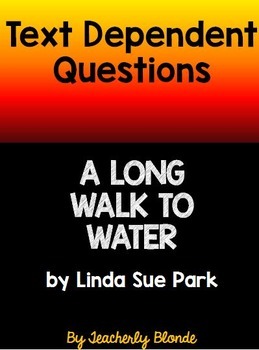 All the questions require students to: reflect, go back into the text, analyze, and draw evidence to support their answers. 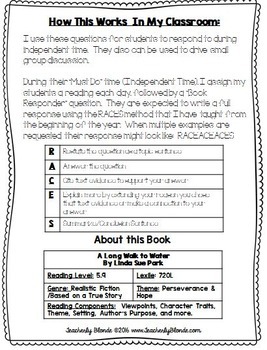 I use these questions as students' independent time Book Responder activity. We then share our answers in small group and discuss what we like about each response and what could be improved. • Go to your My Purchases page.Click on “Provide Feedback” button. Click it and you will go to a page where you can give a rating and leave a comment for the product! 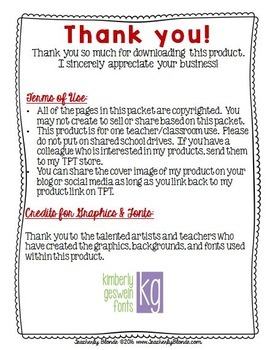 You get points that you can later redeem for future products!